The annihilation process of particles and antiparticles moving irreversibly is studied as a model for the kinetics of point-type topological defects. 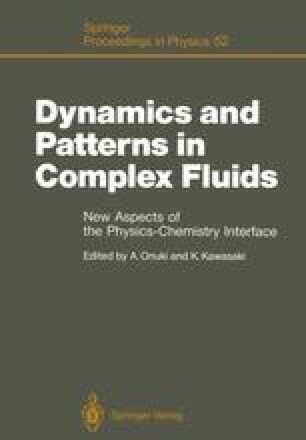 It describes the growth process of quenched systems with O(N) symmetry in D=N dimensions. For D=2, the interaction energy is widely known to depend logarithmically on the separations of the pair. Although high dimensional cases are less clear, the interaction energies associated with a single defect and with a pair of defects with equal but opposite charges have been calculated, which suggests that the energy increases linearly with the separation of the pair in any dimensions of D ≥ 3 [1,2]. In the present report we consider a particle-antiparticle (PAP) system generally with power-type pairwise interaction, as a model of such systems.